RTM Business Group launches a series of presentations titled "RTM Blueprints"
NEW YORK - Nov. 9, 2016 - PRLog -- RTM Business Group, a leading organization fostering collaboration amongst school district administrators in the K-12 education space, has launched a series of presentations titled "RTM Blueprints." District leaders participating in the ongoing RTM K-12 events have compiled their experience in this format to share their combined knowledge. Each Blueprint whitepaper is followed by an interactive presentation at an RTM event. Topics and titles are curated by the authors in conjunction with the RTM Advisory Board. 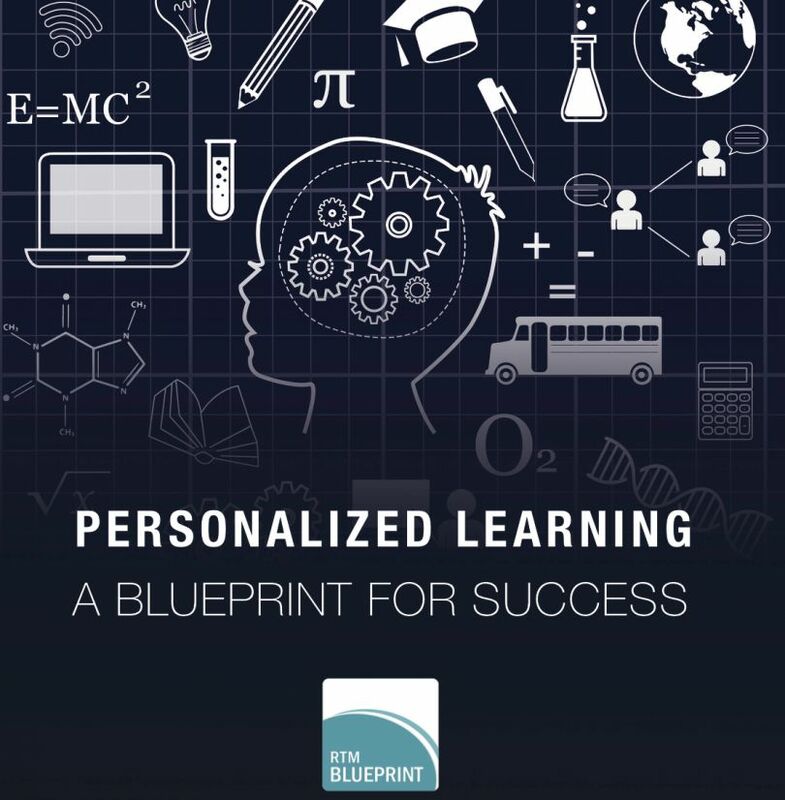 The 2016 RTM Blueprint is dedicated to personalized learning, and is now available for download upon request. Following the Spring 2016 RTM Education & CIO Congress in February, the authors concluded that, above all other topics, personalized learning was a priority given the continuing district efforts to move towards new pedagogical models. Co-author Jeff McCoy (Interim Associate Superintendent for Academics, Greenville County Schools, SC) explained: "Today's educational environment requires us to think differently in order to meet the needs of our students. Preparing them to be innovative thinkers, creative problem solvers and high level collaborators is key to their future success in their chosen career! Personalized Learning changes the way teachers teach and how students learn. Working on this blueprint with some of the best minds in the country was a learning experience for me and a privilege." The document was released and the live session took place at the Fall 2016 RTM Education & CIO Congress in Orlando in October. It is titled "Personalized Learning – A Blueprint for Success." Co-authored by Jeff McCoy, Dr. Sheryl Abshire, Scott Bailey, Dr. Tim Clark and Kerry Padrick, and produced by RTM Business Group, the 2016 Blueprint acknowledges that one plan does not fit all. In addition, it provides a checklist for practical and successful implementation. "Personalized learning is THE key differentiator in transforming learning for all students. The RTM group has proven again to provide important thought leadership on topics that are most needed by school district leaders seeking to improve teaching and learning. I'm so proud to have been a part of this initiative that will prove to be a valuable resource for school districts everywhere," said author Sheryl Abshire, Ph.D. (Chief Technology Officer, Calcasieu Parish Public Schools, LA). Future RTM Blueprint topics are currently being researched, and include security, professional development and academic achievement. "I enthusiastically embraced the opportunity to collaborate with like-minded professionals in building this Blueprint. I trust that it will serve as a guide to those aspiring to further personalize the teaching and learning experience for students," added Scott Bailey (Chief Academic Officer, Washoe County School District, NV). Dr. Tim Clark (Educational Consultant and Strategist), stated: "Working on the RTM Blueprint for Personalized Learning provided a unique opportunity to collaborate with other leaders in education about effective practices and strategies for transforming instruction." Upcoming RTM events include the 2017 Spring Education (http://www.rtmeducationcongress.com/spring/) & CIO Congress (http://www.rtmciocongress.com/spring/) (March 5th - 7th) and the K-12 Innovation Forum (http://www.k12innovationforum.com/) & School Planning Congress (http://www.spfcongress.com/) (May 7th -9th). Participants at these events will have the ability to contribute ideas for the development of future collaborative projects. The attending district leaders can now access whitepapers, case studies and other professional development resources through the RTM Blueprint library. Panelists at the RTM Education events are asked to share the steps they have taken in implementing successful solutions to help their peers tackle similar challenges. Past Keynotes have included Steve Wozniak, Ted Dintersmith, Sir Ken Robinson, Dr. Yong Zhao and Ron Clark. Sheryl Abshire, Ph.D. - Chief Technology Officer, Calcasieu Parish Public Schools (LA):As the Chief Technology Officer for the Calcasieu Parish Public Schools for nineteen years, Dr. Abshire is a catalyst to initiate the integration of technology throughout the nation and internationally by providing leadership on numerous national, state and district committees focusing on the role of technology and curriculum in changing educational practice. Dr. Abshire is the past president of the Louisiana ISTE affiliate – LACUE where she presently serves as the Vice President of Advocacy and Programs. She was the first teacher inducted into our country's National Teachers' Hall of Fame and serves on the board and is past chair of Consortium for School Networking (CoSN). Scott Bailey - Chief Academic Officer, Washoe County School District (NV): With approximately 65,000 students, the Washoe County School District is the second largest school district in Nevada. Scott's leadership experience in the WCSD also includes service as a school principal and a district performance director. As a member of the Superintendent's Leadership Team, Scott oversees multiple initiatives within the District's strategic plan. Under the strategic plan, the WCSD has made tremendous progress in student achievement, including the realization of record-setting graduation rates. In 2005, Scott earned the distinction of Las Vegas Asian Chamber of Commerce Educator of the Year. In addition to numerous recognitions for excellence in educational service over the years, Scott was appointed to the Baldrige Board of Examiners by the U.S. Secretary of Commerce in 2010. Tim Clark, Ed.D. - Educational Consultant and Strategist:In this role, Dr. Clark provides guidance to districts in strategic planning & professional development for integrating technology and designing digital curriculum. He has been an educator for over 25 years and has taught all grade levels, ESL & gifted learners, and most recently served as Coordinator of Instructional Technology for Forsyth County Schools, GA. He is the author of the BYOTNetwork blog. He has been featured in NBC News, EdTech Magazine & many other news outlets. Throughout his career, he has been a vocal advocate for the use of instructional technology and digital content to increase achievement & motivation, encourage collaboration, facilitate critical thinking and construct innovative learning environments. Jeff McCoy - Interim Associate Superintendent of Academics, Greenville County Schools (SC): Jeff McCoy is currently serving as the Interim Associate Superintendent of Academics for Greenville County Schools in South Carolina. Greenville County Schools is the largest district in South Carolina and 45th largest in the nation with over 76,000 students. Jeff started his career in Greenville County Schools as a middle school teacher in 2000 and has held various district leadership positions throughout his sixteen year career. He is currently an adjunct professor at Furman University and serves on multiple state and national committees. Kerry Padrick - Chief Communications Officer, St. Lucie Public Schools (FL): As the Chief Communications Officer for St. Lucie Public Schools, her responsibilities entail internal as well as external streams of two-way communication and engagement. Her recent support of quality teaching and learning via district-wide implementation of the new standards and of the migration into the digital realm of accessing content provides context to springboard new information. She works in collaboration with others and seeks input to refine communication, pursue partnerships, and support customer service. By placing high value on working in such a manner, she and her team have experienced success in telling the school district's story, marketing, and re-branding the educational organization to highlight the accomplishments of students and educators alike. Mrs. Padrick recognizes that she can accomplish far more through collaboration than through solo operations.